NSK America Corp was established in 1984 as a wholly owned subsidiary of NSK Nakanishi Inc, serving as the North American Headquarters in Nakanishi’s global network. NSK America Corp. provides application support, sales and repair service for all of our high speed motors, spindles and micro-grinders for the North, Central and South American markets. 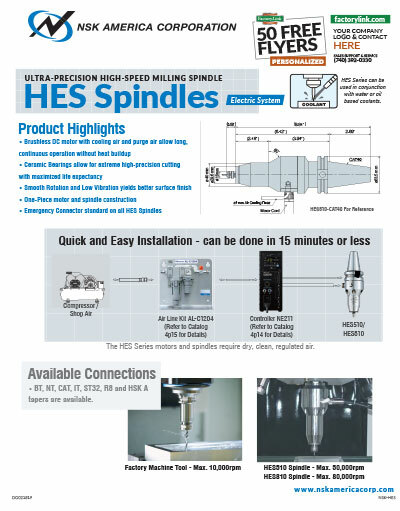 Machine tool spindles and hand tools by NSK America are engineered to meet the industry's demand for speed and precision. 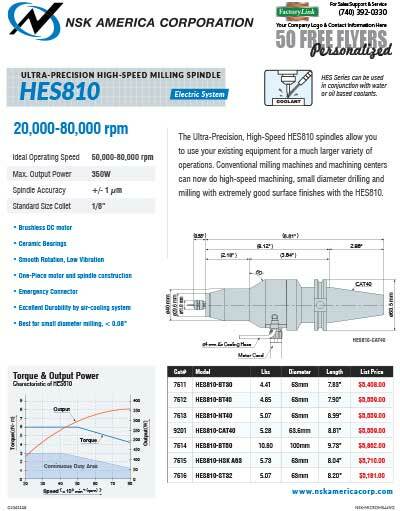 NSK offers the latest technology in high speed milling and drilling spindles, high speed precision hand tools and more. NSK services & repairs all of our products in house at our Hoffman Estates, IL facility. Order your personalized 50 Free Flyers below!